Charming 2-Story 5 Bedroom home sits at the end of a quiet cul-de-sac lot. Lots of space for the price at over 3000 sq feet. The lower level features the large master on main with large owners bath and lovely tray ceilings. The 2-story great room creates a large open feel with nice overlook areas from the second floor. The sitting room in the front of the house can be used as a great flexible space, great area for your needed use. Three larger secondary bedrooms on the second floor feature exquisite vaulted ceilings to enhance the size of the rooms. The 5th bedroom/bonus will make an ideal play area for those needing less than 5 bedrooms. 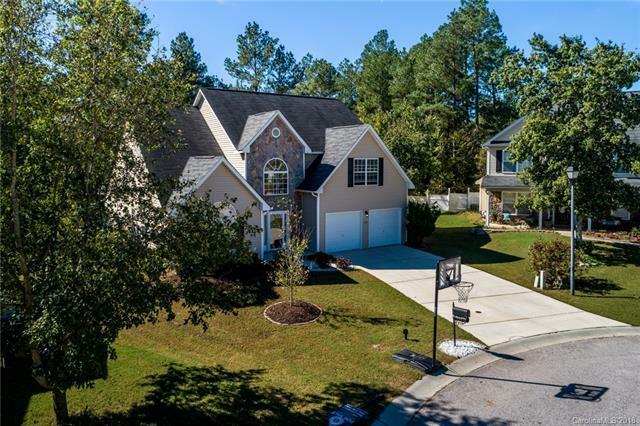 Close to Lake Wylie with low South Carolina taxes!! !